Lovely photo. Composition is perfect. Well done on the foreground sharpness. Lovely soft palette and lighting. Would've liked the camera point slightly to the left - so that the wooden poles form a more continuous curve and the final platform is at 2/3rds. This reminds me of Final Fantasy-X Nice the leading into the distance thing. Great exposure! 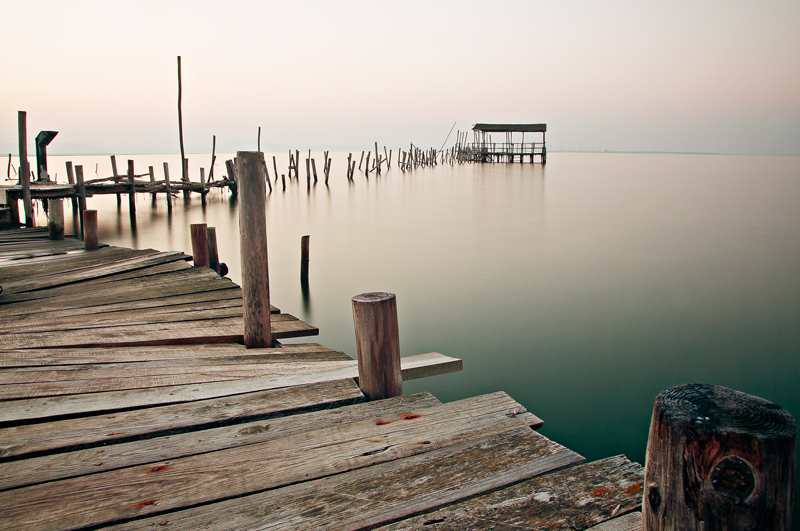 Wish we had an old pier like this, I could break out my ND110 filter and try something like this. Proudly hosted by Sargasso Networks. Current Server Time: 04/20/2019 12:25:15 AM EDT.